FEW people can say they've taken part in astronaut training or had a front-row seat at the launch of a booster rocket. 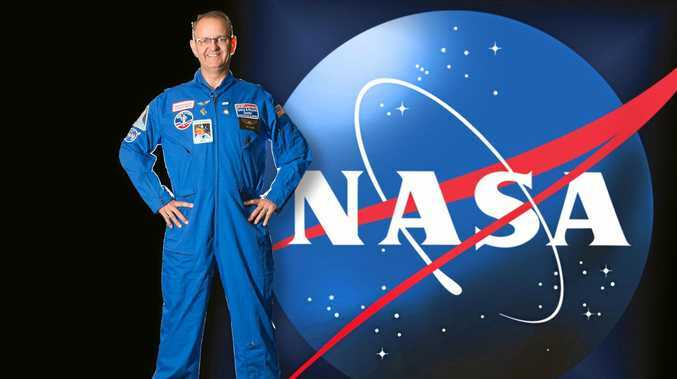 It's no wonder Coffs Harbour high school teacher Troy Sodeau was over the moon to hear he had been hand-picked by NASA to visit its world-renowned space facility. Getting ready for the first day of school at Bishop Druitt College, the Year 12 coordinator received the message he had been selected as one of 100 people from around the world to take part in the space program. Troy was one of 10 teachers granted a scholarship to visit the facility for six days in June, where he came face to face with astronauts and took part in learning programs and training exercises. "There were teachers from the UAE, Pakistan, France, China and the US in my group. Overall, teachers were chosen from 35 different countries," he said. "The program aims to get the word out that NASA is not just open to Americans and they need everybody - not just engineers and physicists, they need PR people, graphic designers, dietitians - all sorts of people to make sure their missions are under control. "There were many facets throughout the whole week, but what was more fun than anything else was going through the astronaut training." Troy used the multi-axis trainer, which simulates the disorientation an astronaut would feel in a tumble spin while in space, and sat in the 1/6 gravity chair which simulates the experience of walking on the moon. He also took part in a helicopter crash simulation and used a long zip-line to simulate the idea of escaping the wreckage. Troy was also given the opportunity to hear first hand from the astronauts and rocket engineers what was going on behind the scenes. "We spent a lot of time focusing on where they're going, what they're doing and how they're doing it. Particularly how they're planning to get to Mars," he said. "The astronauts were all very down to earth. They weren't geniuses but they were very passionate. "They all had the simple message of making sure you get a good education and if you have a dream, follow it, don't give up."